Provence is a region in southern France bordered by the Rhône river to the west, Italy to the east and the Mediterranean Sea to the south. It comprises the iconic Côte d’Azur cities of Marseilles, St. Tropez, Cannes and Monaco, as well Alpine villages and medieval walled towns like Valbonne. Perhaps one of the best ways to get to know the area is on foot. 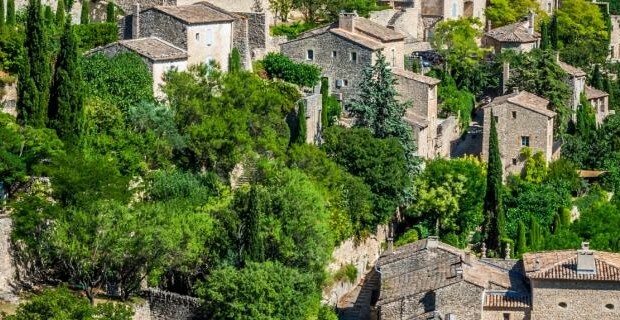 The folks at Explore Worldwide have put together a 7 day walking tour of Provence that takes guests to some of the most scenic areas of Provence. The package includes accommodations in standard hotels and dinner. Prices start at just $1370, not including airfare. Enjoy an easy walk to the small village of Les Cabrières d’Avignon. The route is 6 miles long and will take no more than 2.5 hours to complete. Afterwards, you will stay at a farmhouse outside Lagnes, the capital of Provence, where a dinner featuring local specialties will be served. Today’s route takes you through the renowned Fontaine-de-Vaucluse – home to one of the largest springs in the world which is the source of the spectacular emerald-coloured Sorgue River. Walk from there on to La Roque sur Pernes, your accommodation for the next two nights is in a charming guesthouse in a spectacular and peaceful setting. Here, you can look forward to enjoying exceptional provençal cuisine during your included dinners. You can expect today’s 11.5 kilometre walk to take approximately five hours. On today’s walk, you will pass through the village of Le Beaucet, set against a steep rock face. Your journey continues on to the impressive village of Venasque, towering high above the valley before passing a deep gorge and strolling through tranquil landscapes. Enjoy the aromas of Provence’s vineyards on your way back to your guesthouse.Today’s 9 mile walk takes about 5.5 hours. Breakfast and dinner included. 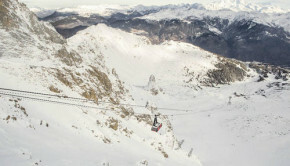 Today, you will traverse quiet surroundings on your way up to Rochers Rouges. At the top, you can look forward to panoramic views of the Dentelles de Montmirail, Mont Ventoux and the Rhone Valley. Make your way back down through a forest of oaks to Senanque Abbey, famous for its lavender fields (in bloom June through to September) and home-grown produce. Then continue on to the famous village of Gordes. Dominated by its church and castle, Gordes is regarded as one of the most beautiful villages in France. You can expect today’s 7 mile walk to take approximately five hours. Breakfast included. From Gordes, today’s walking route takes you through the spectacular Gorges de la Veroncle, characterised by its steep, jagged cliffs. After descending down to the bottom of the gorge, you return to the top and follow quiet footpaths and country roads, passing the Bois d’Audibert. Your final ascent leads you back to Gordes, where you will spend a second night. This 7 mile walk to takes approximately 4.5 hours. Breakfast included. From the lively town of Gordes, your last day of walking takes you across the silent Plateau de Vaucluse, with its many ‘bories’ – drystone huts that were once agricultural outhouses. 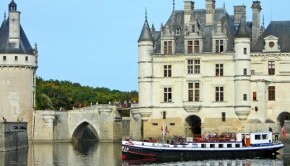 Later in the day, you will visit the ‘Village des Bories’ – an open air museum dedicated to these unusual buildings. The song of cicadas will accompany you as you pass through the beautiful Gorges de la Senancole on your way to the Mur de la Peste. This 16 mile long wall was built to stop the spread of the plague in the 18th century. Watchtowers stood along its length, to guard against the movement of people. Descending back to Lagnes via the Tête du Soldat, your final night’s accommodation is back at the guesthouse which welcomed you at the beginning of your holiday.You can expect today’s almost 10 mile walk to take about 4.5 hours. Breakfast included. After breakfast, the organized part of your tour comes to an end. You will have the rest of the day to go shopping in town or just enjoy the serenity and beauty of your surroundings.